hi! did u ever sell that spinnaker setup? 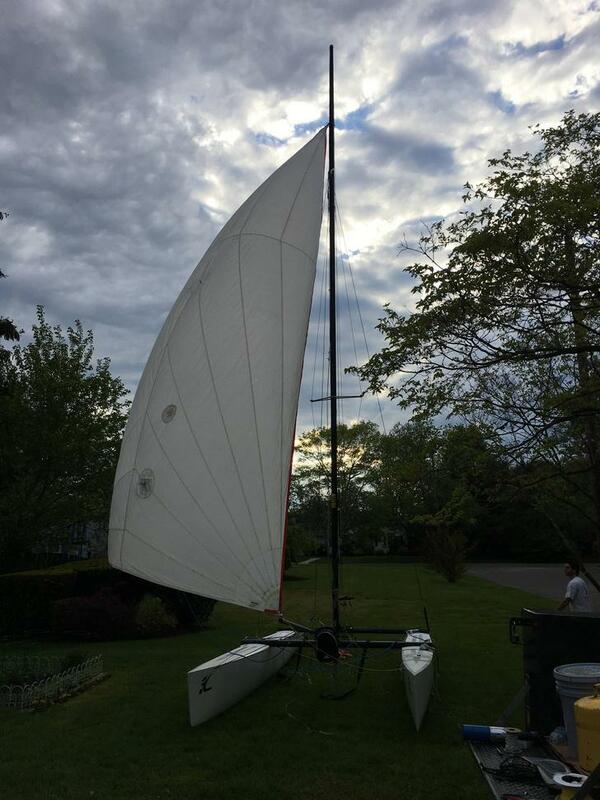 I live in NY and have 2 hobie 20's - just completely rebuilt the boats to absolute perfection....I have two spin poles and various hardware if you are interested....happy to help if you need any technical assistance also...we are running hobie 18 spins on custom carbon poles along with many modifications....should be a great August/September! 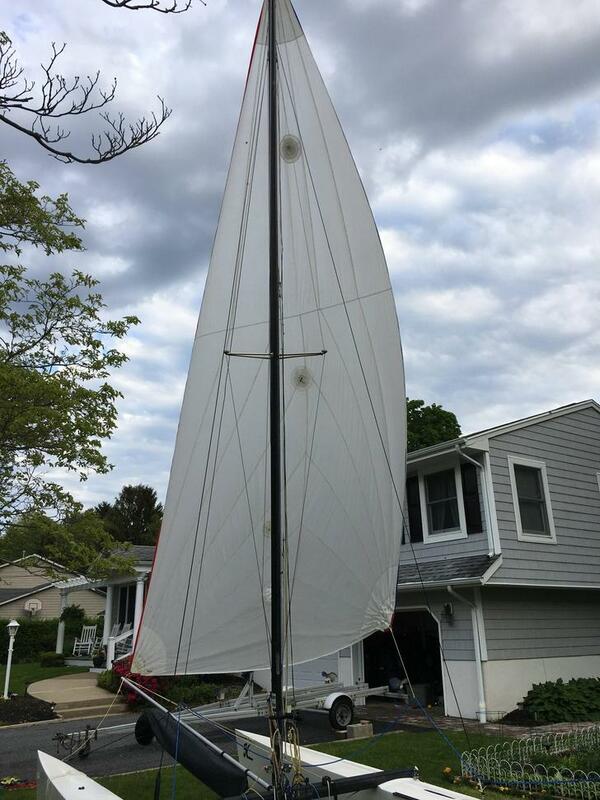 Does a hobie 18 spinnaker kit work well with the 20? 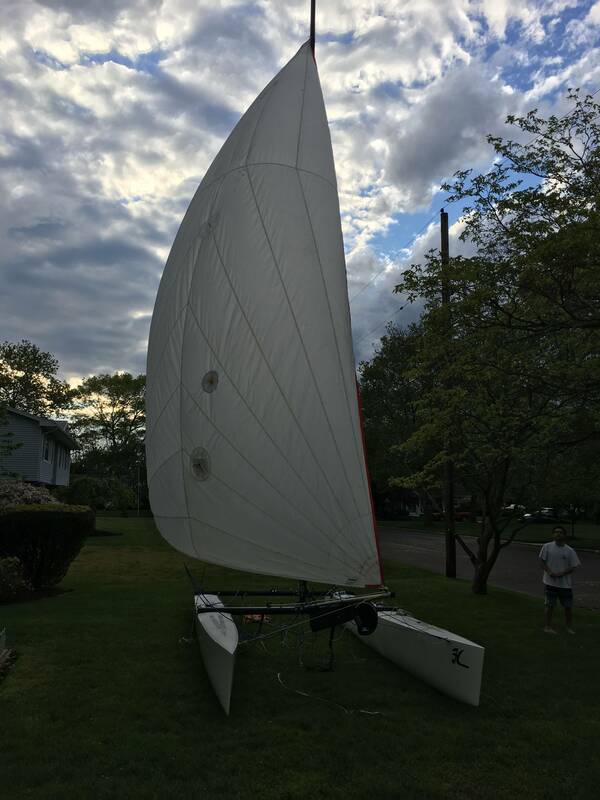 does this sheeting arangement work for a hobie 20 rigged with a Tiger spinnaker? Take a look at Jeremy's video it may answer some of your questions. I am making good progress on my spin conversion for the H20. I will post pictures and will make a detailed guide for rigging a hobie 20 with an f18 spin so it's easier for other people to do. Got it rigged up yesterday. I will make a new post with details for hardware and the setup I chose. Frank used a F18 spin & rig he bought from me, along with an aluminum pole from Forespar. Don't recall where the snuffer came from. I'm sure he'll fill you in on the rest of the details. I'm glad he's getting use out of it!